New research by Texas A&M AgriLife Research scientists shows biochar has potential to make anaerobic digestion of animal manure a more efficient method to rid farms of waste while producing methane for energy. Biochar is a man-made charcoal material composed of agricultural wastes including manure, crop residues and forage grasses. It can be used as sustainable fertilizers and to filter a broad range of contaminants, including antibiotics, pesticide and hormones in wastewater and water, as well as to capture greenhouse and odorous gases such as carbon dioxide and ammonia. "Effects of dairy manure-derived biochar on psychrophilic, mesophilic and thermophilic anaerobic digestions of dairy manure" by Dr. Hyun Min Jang, AgriLife Research environmental engineer, Dr. Yong-Keun Choi, Tarleton State University researcher and Dr. Eunsung Kan, AgriLife Research chemical and environmental engineer in Stephenville, was published recently in Biosource Technology. The article discusses the potential of using biochar as an accelerating material to make anaerobic digestion of dairy manure more efficient in bioreactors for enhancing breaking down wastes and producing methane gas. The current management of animal farm manure includes applying waste to croplands, Kan said. Current methods often generate odors and greenhouse gases and can cause ecological problems downstream, such as algae blooms and contaminated groundwater. "The value of the new research is that manure can be a problem source, and anaerobic digestion using biochar serves to dispose of manure while producing methane to power the farm and possibly be sold to local utilities," he said. Kan said manure is a very rich source for bacteria involved in anaerobic digestion, which includes fermentative and methane-producing bacteria, for converting manure to methane in biogas and volatile organic acids. Methanogenic bacteria are of particular interest to Kan because of their potential to produce methane gas at a rate that could power a farm. However, methanogenic bacteria were found to be the rate-limiting factor for anaerobic digestion due to their sensitive responses to operating conditions such as temperature and pH levels. Kan said the bioreactors used to perform anaerobic digestion of the waste – digestors – only work well when environmental conditions are good for both bacteria types. "Sometimes environmental conditions make it difficult to operate anaerobic digestion at dairy farms in areas such as Wisconsin or Texas where weather variabilities are extreme," he said. "This would make the process inconsistent and difficult to control." Anaerobic digestion of manure results in low pH and other undesirable conditions in the bioreactor, which slow down or inhibit methanogenic bacterial growth and metabolism when operating conditions aren't optimal, Kan said. Jang, the principal author, researched how the use of biochar could overcome these operating problems. Manure-derived biochar is alkaline with a pH of 8-9, Kan said, and can act as an excellent buffer to maintain the optimum pH for methanogenic bacteria, which is around pH 7. It contains high levels of nutrients and minerals to support high bacterial growth, while its high carbon contents enrich the microbial community associated with anaerobic digestion. 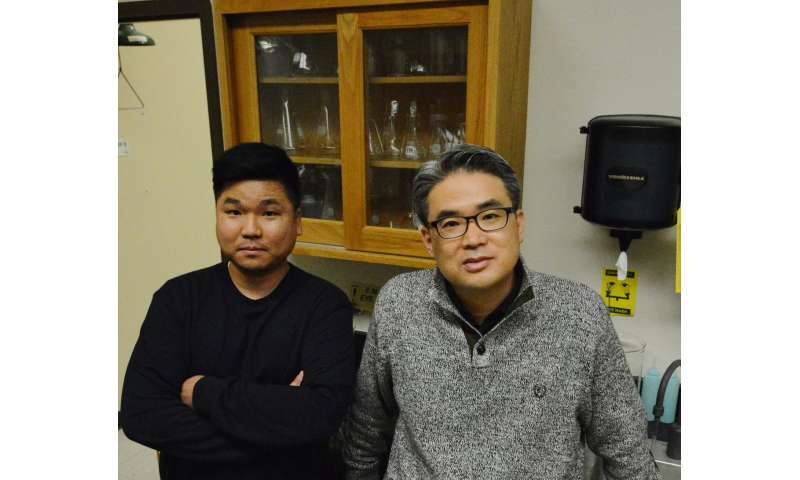 Kan and Jang have tested low biochar-to-manure ratios so far with promising results. Dairy manure mixed with no biochar and 0.1-1 percent biochar showed that adding biochar increased methane production by approximately 40 percent and reduced the production time to achieve target biogas production by 50-70 percent. "It decreased the lag phase, which is the time that elapses before production starts, and cut the biogas production time in half each time we added more biochar," he said. "Production time is a significant factor for a dairy with say 1,000 cows that produce 8,000 kilograms of dry manure each day, but reducing the digestion time also means the size of the anaerobic bioreactor reduces by half." Reducing the retention time and footprint of the digestors would mean lower initial investment cost, water consumption, utility costs, operating costs and land requirements, Kan said. But Kan said more research is needed to understand the changes in microbial communities with biochar and to determine the optimum conditions for anaerobic digestion of manure before researchers can build a scale version that can be tested and eventually applied to scale for a working dairy. Kan believes current technology – lagoons for dairy manure management – could be upgraded to anaerobic digesters covered and mixed with biochar. Using biochar in upgraded anaerobic lagoons would enhance biogas production and shorten treatment time while capturing greenhouse and odorous gases. He said there are good indications that researchers could optimize conditions then move to a pilot test on a dairy within the next few years. "There are good indications that biochar will make anaerobic digestion a viable solution for more efficient management of animal manure with easier operations than conventional anaerobic digestions," he said. "When we optimize conditions and move to the test phase on a dairy then we will know what capital investment and footprint would be necessary to build sustainable digestors that can meet the disposal needs and then apply that to other operations based on their capacity."